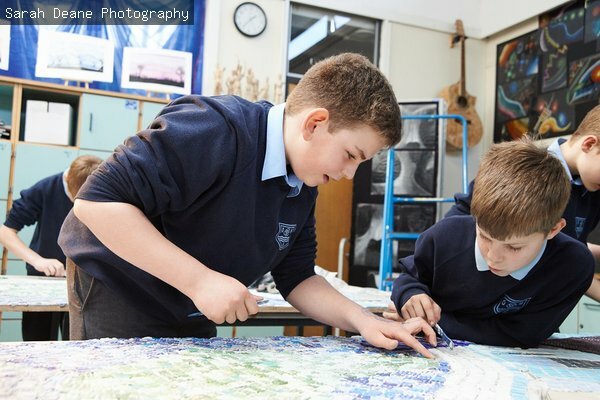 Artsmark – the award for schools, has been designed by schools for schools. Artsmark protects and supports arts in education settings, helping to unlock the potential of children and young people, to develop character and talent, and increase knowledge and understanding. Culture Bridge North East is delighted to be working in partnership with The Forge to deliver our Artsmark programme. To register your interest visit www.artsmark.org.uk. It’s £500 to join Artsmark (or £250 for schools with fewer than 100 pupils) and that includes the Development Day induction training for two members of staff and ongoing support from The Forge and Culture Bridge North East. Once you have registered, The Forge will be in touch with you to attend one of our free Artsmark development days. This is a helpful resource, which will guide teachers through the process of writing their Artsmark Statement of Commitment. With special thanks to Newminster and Chantry Middle Schools, in Morpeth. Will help raise your school’s profile.